There will be three overnight Confirmation Retreats offered during the 2018-2019 school year. Registration preference is given to students who will be confirmed this school year or the fall of 2019. Please note: Parents are able to register their children. Please notify your parish if you register your child. Some parish Directors of Religious Education and Youth Ministers choose to register their group by using paper permission forms instead of having parents register their children online. Students must attend the entire retreat to attend at all - no exceptions. Cost: $40 before registration deadline. $50 after October 5th. Please pay your parish. Check-in: Friday 6:15-6:45 p.m.; Retreat concludes after 5:00 p.m. Mass on Saturday. Cost: $40 before registration deadline. $50 after November 16th. Please pay your parish. RETREAT FULL. Please register for the waiting list at the regular registration link below. Cost: $85 before registration deadline. $95 after March 8th. Please pay your parish. Check-in: Friday 5:45-6:20 p.m. (Please note: this has been updated as of 3/21/19. The check-in time is a half hour earlier than previously stated). ; Retreat concludes at 12:00 p.m. on Sunday. Click HERE to register for any of the three retreats. You will choose which retreat on the Active website. Please pay your parish. Parishes will make one payment the night of the retreat. Please see above for cost of retreat. Chaperones should also register at the above link. Please choose the retreats with CHAPERONE in the title. Parish Check-In List: Chaperones should bring the list of students and chaperones attending the retreat on this form. Your packing list will be included on your registration confirmation e-mail. Why Do Confirmands Need To Have a Retreat? "Retreat: During the process of preparing for Confirmation, an overnight retreat or its equivalent is required. An overnight retreat enables the young person to be removed from everyday activities and thus allows him/her to focus fully on the greatness of the Sacrament he/she is preparing to receive. The retreat should be specific to the Sacrament of Confirmation. The Diocese of Duluth provides Confirmation retreats, and each parish is asked to strongly consider participating in these retreats. If you have questions regarding retreats for Confirmation, please contact the Diocesan Pastoral Center." For other requirements, please read the document found at the link above starting on Page IV-4. What Are The Options For Confirmation Retreats? - Three are offered throughout the year. The parish must provide: One chaperone for every eight (8) retreatants. Chaperones must be 21 or older and be confirmed. 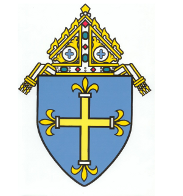 They must complete the Diocese of Duluth Online Youth Protection Training which includes a background check and acknowledgment of the Diocesan Sexual Misconduct Policy. Go to www.dioceseduluth.org/Sa to log in. The role of the chaperone is vital to the success of the retreat. Therefore, they are required to be present throughout the entire retreat. They will be responsible for the retreatants they bring, we do also ask that the chaperones be willing to assist in the taking care of behind-the-scenes details once they arrive. Duties might include helping in the kitichen, covering patrol duty during the night and praying for retreatants. Driving: Each parish is responsible for getting their students to and from the retreat. Friday's dinner is not provided. Attendance: All retreatants will be expected to attend the entire retreat to fulfill the Diocese of Duluth Confirmation requirements. What to Bring: Students are to bring sleeping bags, pillows, toiletries, etc. as well as snacks (to be shared by all). Leave cell phones, tablets, etc. at home. Drugs, alcohol, and weapons will not be tolerated and will result in immediate dismissal from the retreat. Please register retreatants on-line at the link provided on this page. Please bring one check payable to the Diocese of Duluth from your parish for the total amount due for all retreatants. Retreats are a great opportunity for building relationships with your youth. If you have a youth attending a retreat, we expect you'll make the most of this opportunity and be willing to serve as a small group leader or chaperone.